Narayana: Are you fine, Narada? Narada: I am fine and am traveling as usual, to all the three worlds. Narayana: With what thought do you travel? Narada: Lord, only yours. I keep chanting Narayana, Narayana. But lord, I don’t understand, what is the reward of chanting your name. Narayana: Oh Narada! You do Namasmarana, but you don’t know its taste. Go and ask that crow sitting on that tree. Narada: I asked the crow. It immediately fell dead. Is this the reward? Narayana: To find the truth one must use one’s time well. Narada, go to the poor brahmin’s house. There in a cage, is a beautiful parrot. It has a green body and a red beak,. Go and ask it. Narada went to the parrot and asked, “What is the reward of chanting the name of Narayana?” Hearing this the parrot immediately fell down and died. Narada went to Narayana. Narada: I asked the parrot. It immediately fell down and died. Is this the reward? Narayana: One must be determined until one knows the truth. Go to the Brahmin’s home. A calf has been born only yesterday. Go and ask it. Narada went to the calf and asked, “What is the reward of chanting the name of Narayana?” The calf raised its head, saw Narada and fell dead. Narada went to Narayana again. Narada: I will not leave until I learn the truth. Oh lord! Is this the reward? Narayana: Don’t be haste. Haste makes waste. Waste makes worry. So do not be in a hurry. Be patient. A son has been born to the king of this land just yesterday. The king is very happy. Go and ask the child. Narada was afraid. He thought, “If the child also dies, the soldiers will arrest me. I will also die. Is this the reward”. Narayana: Don’t be hasty. Go and ask the child. Narada went to the king. The child was brought on a golden plate. Narada asked the king, “Oh king! Can I ask the child a question?” The king agreed. Hearing this the child prince spoke. Prince: Narada, is this all you have learnt? You chant the Lord’s name 24 hours, but don’t know its taste. First I was a crow. You came and asked me what is the reward of chanting Narayana’s name. Hearing that, my life got fulfilled. I gave up my life. Next, I was born as a parrot. Where is a crow and where is a parrot? A parrot is nourished in a cage. You again came and asked me the same question. Next, I was born as a calf. This is an even better life. Bharatiyas worship cows. I heard the Lord’s name and died. Now I am born as a prince. Where is a crow, parrot, calf and where is a prince? By chanting God’s name, we go to higher states. I have now become a prince. This is my fortune. This is the reward of chanting Narayana’s name. If we have faith, love, and devotion we can reach higher states in life. Hearing the name of Lord,the crow became a parrot, calf, and finally a prince. It got a human life. See the difference in the lives it got. If hearing the Lord’s name has so much power, what about the power of uttering the Lord’s name? 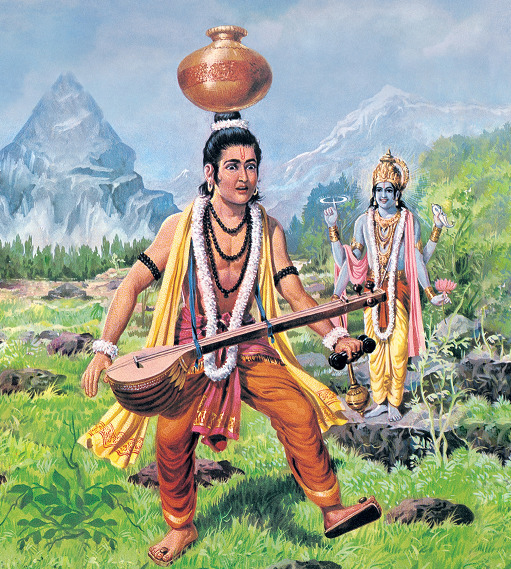 Therefore Namasmarana( Chanting Lord’s Name) has great power.